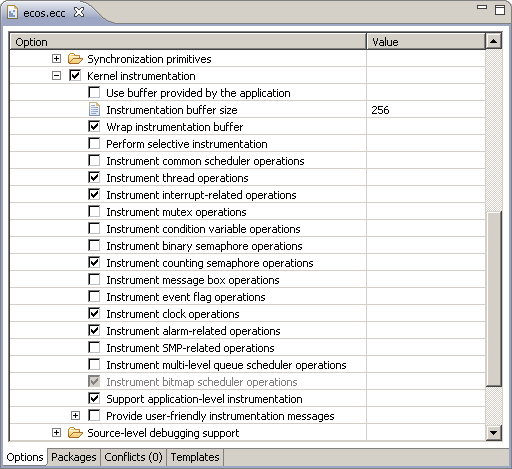 This technical note describes procedure for the logging of eCos kernel-level events within the eCos Events view. Alarm handling code is used within this illustration, but the procedure is applicable to other applications of this debugging technique. A common requirement within real-time embedded systems is to execute code at regular intervals. When developing eCos applications, this is typically achieved by creating an alarm object and associating it with the eCos system clock. When the alarm is triggered, an alarm function is called which posts to a semaphore. 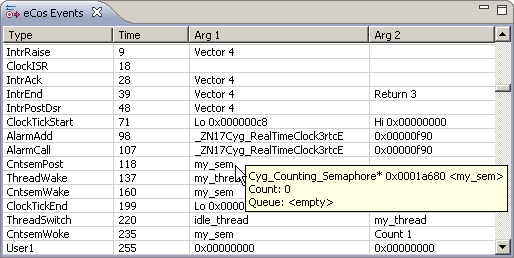 An application thread waits on the semaphore within a loop to perform some application-specific activity.